to wear and look great! 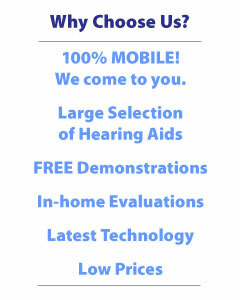 Mobile Hearing Solutions is a mobile hearing aid company providing in-home service to the Phoenix Metro area. We work with all the major manufacturers in the hearing aid industry to bring you the latest technology at the best prices.